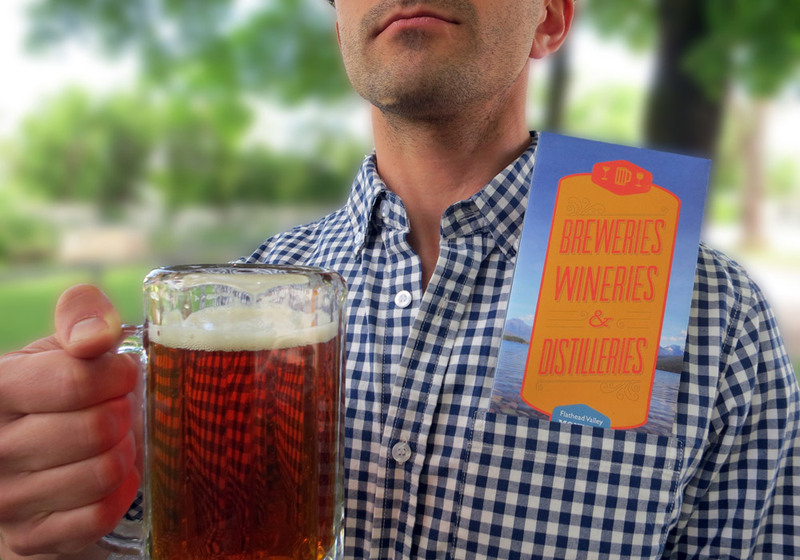 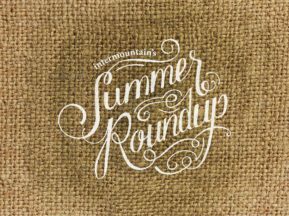 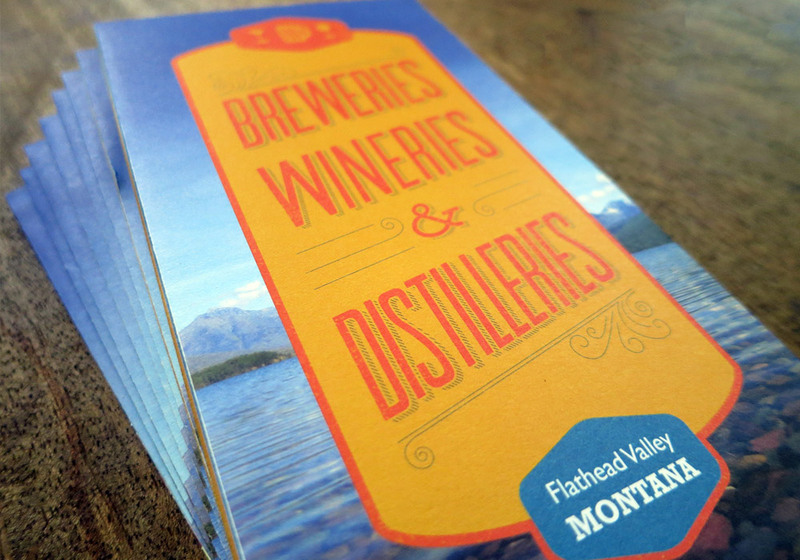 Highline was commissioned by the Kalispell Visitors and Convention Bureau to produce a map pamphlet which highlights the great array of wineries, distilleries and breweries in the area to tourists. 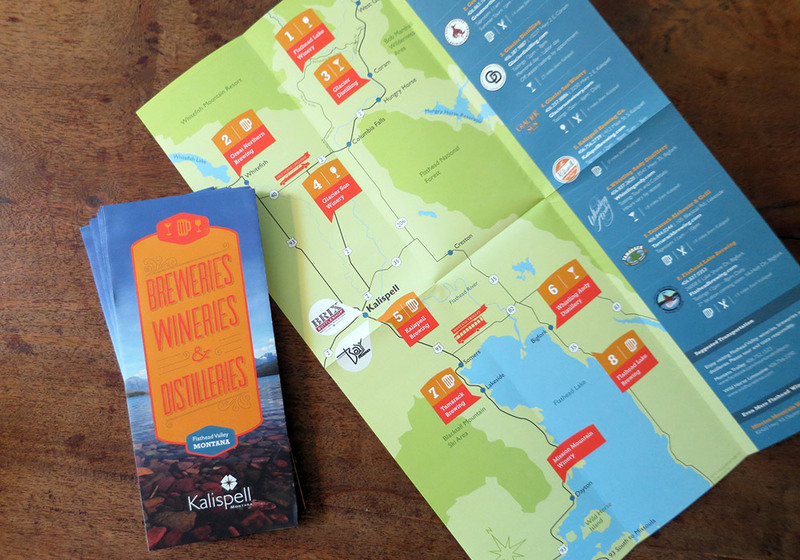 While the illustrated map and layout design functions as a marketing piece, information also needed to be shown in an easy-to-understand format. 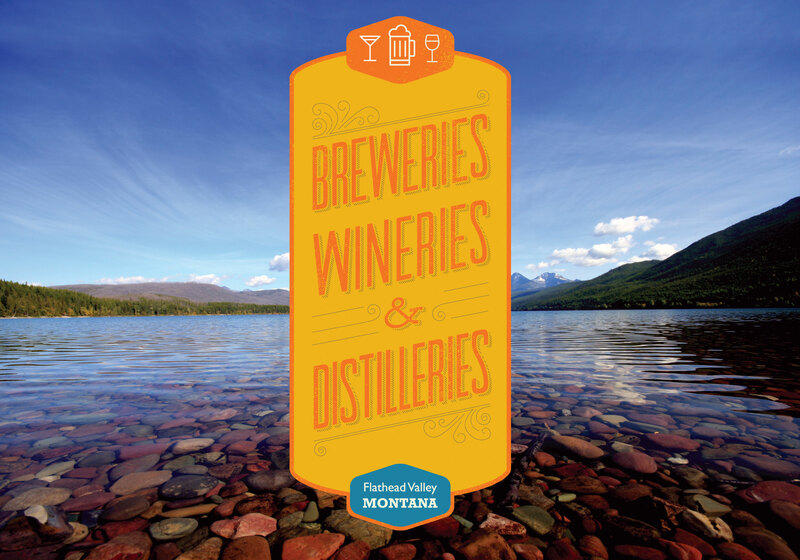 Distances from Kalispell, if food is available and whether beer, spirits or wine is produced is highlighted through a simple icon system. 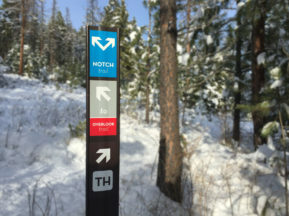 The map’s design is clean and flat to further focus on important information.